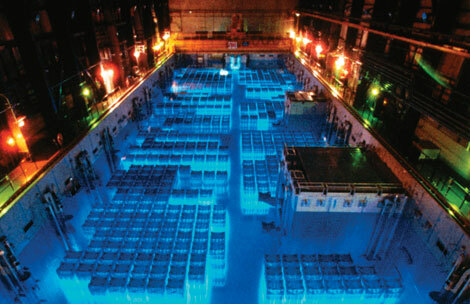 Three incidents this year at the Carlsbad, New Mexico nuclear Waste Isolation Pilot Plant resulted from “a number of serious safety concerns” that led to a fire and radiation leaks, contaminating workers and nearby residents, the NRC reported to the LA Times. The Nuclear Regulatory Commission’s findings detail ongoing complaints about WIPP’s ongoing failures to meet basic safety standards, let alone nuclear safety. But Hanford, the 10th most radioactive region on the planet, also made the news in March when fumes sickened at least 11 workers who were taken to various medical facilities. 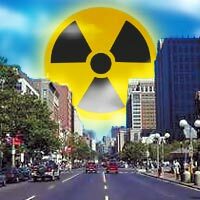 Soon after the Fukushima accident last month, I stated publicly that a nuclear event of this size and catastrophic potential could present a medical problem of very large dimensions. Events have proven this observation to be true despite the nuclear industry’s campaign about the “minimal” health effects of so-called low-level radiation. That billions of its dollars are at stake if the Fukushima event causes the “nuclear renaissance” to slow down appears to be evident from the industry’s attacks on its critics, even in the face of an unresolved and escalating disaster at the reactor complex at Fukushima. 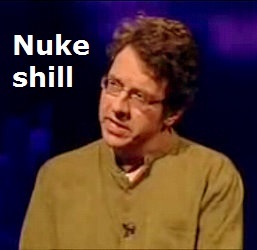 Proponents of nuclear power – including George Monbiot, who has had a mysterious road-to-Damascus conversion to its supposedly benign effects – accuse me and others who call attention to the potential serious medical consequences of the accident of “cherry-picking” data and overstating the health effects of radiation from the radioactive fuel in the destroyed reactors and their cooling pools. Yet by reassuring the public that things aren’t too bad, Monbiot and others at best misinform, and at worst misrepresent or distort, the scientific evidence of the harmful effects of radiation exposure – and they play a predictable shoot-the-messenger game in the process. In a recent interview with The Real News Network, Robert Alvarez, a nuclear policy specialist since 1975, reports that spent nuclear fuel in the United States comprises the largest concentration of radioactivity on the planet: 71,000 metric tons. Worse, since the Yucca Mountain waste repository has been scrapped due to its proximity to active faults (see last image), the US Nuclear Regulatory Commission has allowed reactor operators to store four times more waste in the spent fuel pools than they’re designed to handle.